Eric Slade is the 15th author to participate in my interview series with independent authors of literary fiction. 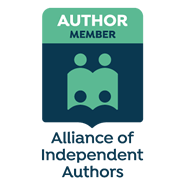 If you publish independently and wish to participate, please click through the image on the right column of the screen that reads “Call for Survey Respondents: Indie Authors of Literary Fiction”. If you wish to receive email notices when future interviews are published, click the link toward the bottom of this post, just above the bio.